Erin Blegen: My Scrap Cabin: Webster's Pages May Challenge: Stickers~!! 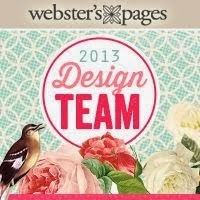 Today I'm giving you a little insight to and head-start on the May Challenge over at the Webster's Pages InspireME site: Stickers!! I think we all- at least in the beginning of our scrappy careers- have been associated with stickers at one point or another. I must admit- stickers terrify me a bit, haha! They're permanent little buggers- and hard to move! So I've learned that if I use them, I first mount the on cardstock or other paper first, cut around- and use them that way :). I have some inspiration for you to get your ideas going for this challenge, featuring the happy & fresh Sweet Notes collection! "This Wonderful Life Makes Me Happy"
The Sweet Notes Collection Pack comes with a 12"x12" alpha & sticker tag sheet just filled with lots of little goodies like this adorable "love notes" tag and heart sticker. I've fussy cut the other designs and layered them all for a custom embellishment :). I've applied the same idea here, but this time I've used the green sticker as my base. You can also see that I've torn some strips of washi tape to add some bits of color to the background. And isn't that resin blue bird just the prettiest?! This project was created on canvas. I tore apart some dictionary pages and glued them in layers over the entire canvas. Then I covered the whole thing with gesso before adding bits of masking, embossing, stamping, and mists. Fun! 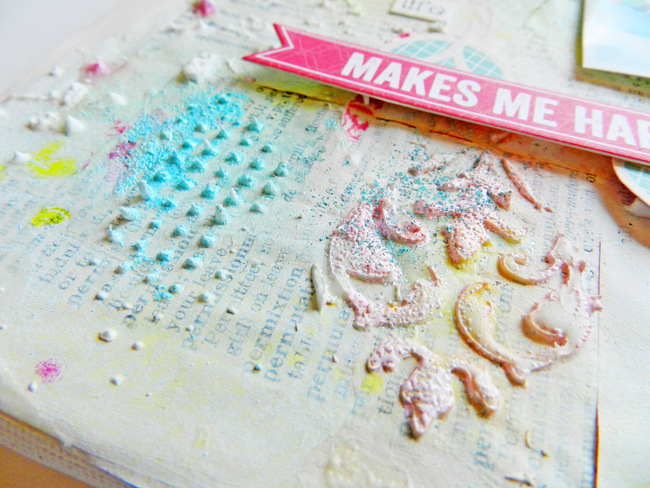 I've used the adorable Bubbly Background stamp in a few different colors throughout the canvas. 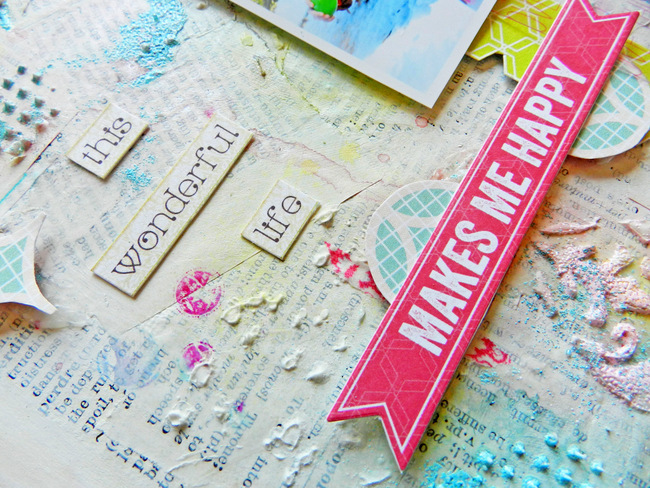 The "this wonderful life" part of my title was cut from the Modern Romance Sentiment Stickers, and the "makes me happy" part is another from the Sweet Notes sticker sheet. 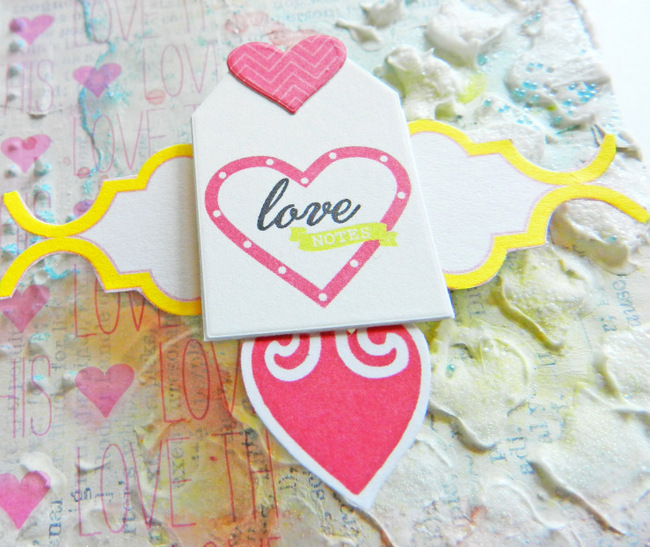 Sweet Notes "Love This Overlay"
So how about you give this challenge a go? You will want to be a member of the InspireME site- so if you're not already a part of this Webster's Pages community, you can join HERE. There you can upload your entries and get yourself in the running for the chance to win a collection pack of your choice! Thanks for coming over to my place today :) Have a wonderful day! wow! I love the brightness fo the layout it just grabs you! 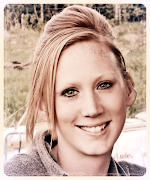 By the way congratulations on being spotted by Ingvild :) WTG! Well deserved, your work is amazing. Lovely textures - can see you had fun with that! So glad the WP challenges are back!! So bright and fresh and girly - love it! Awesome project, Erin! The bright colors really make it pop. Love the idea for the stickers onto cardstock and cutting them out. 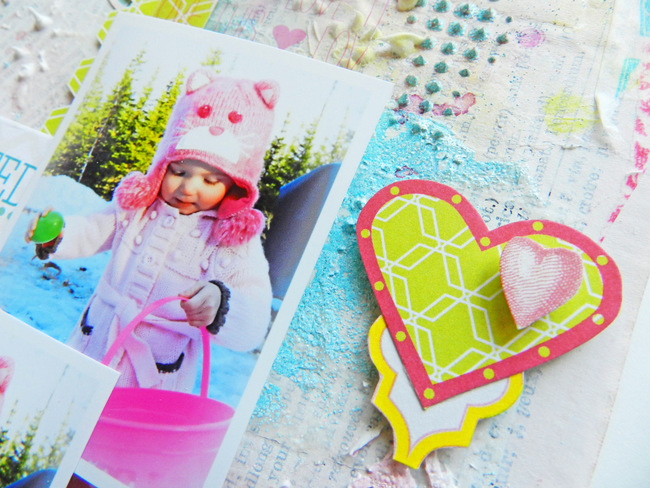 Oh how adorable this is.. love the colors, and what sweet photos you have used too!! beautiful..
oh I LOVE this and how bright it is!!! I love those two collections from Webster's, beautiful! so so pretty and just wonderful texture, love this!! this turned out so beautiful!! love the textured background and who can resist that cutie! It's such a gorgeous, bright lay-out! I really love the fun feel to it. This is so pretty..I just adore all of the background work, and th fun bright colors! Very pretty! Love all of the texture & color! 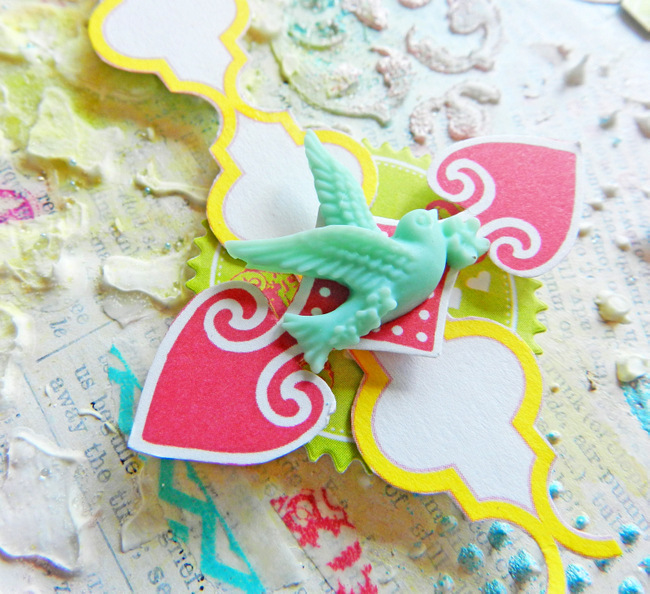 Totally taken with the Bubble Background stamp-love the effect. So pretty Erin!! I've been wanting to try one of the Mixed Media canvases, but just having been brave enough yet! 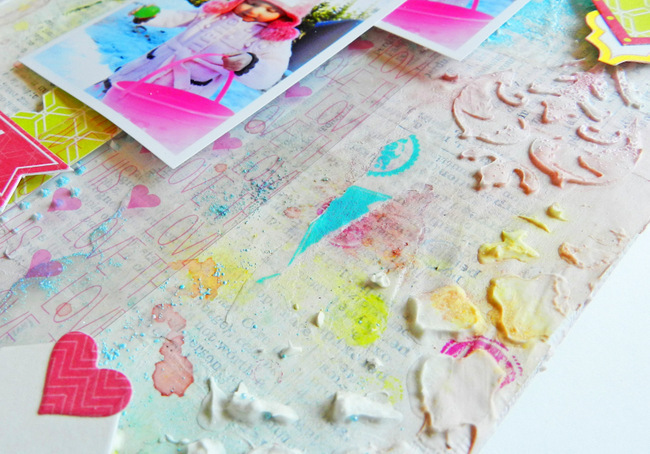 I love all of the texture from the Gesso you used!